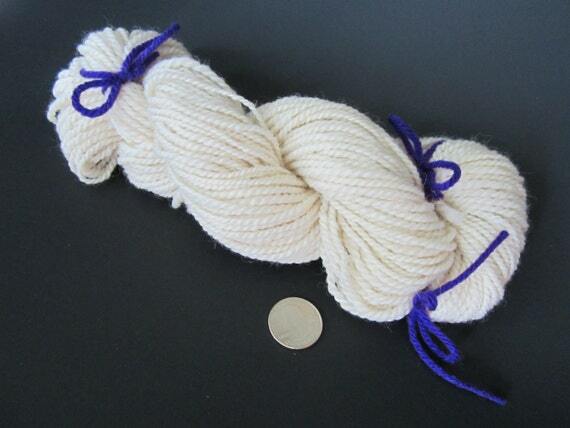 This beautiful yarn was loving hand spun on my Ashford spinning wheel. It is made of pure wool in a great off white color. Making it great from many yarn projects. It has a pretty even look, but it is spun with a slight thicker and thinner style that gives it a lovely country look. I have a quarter in the picture [for photo purposes only] to help show the size.